The CE604 is a DVI Dual View USB based KVM Extender, features Dual View functionality which enables the video output to seamlessly display on two monitors.With RS-232 serial functionality, that allows access to a computer system from a remote console up to 60m away. The CE604 is aimed for control and security purposes, targeting to fi nancial and industrial market. 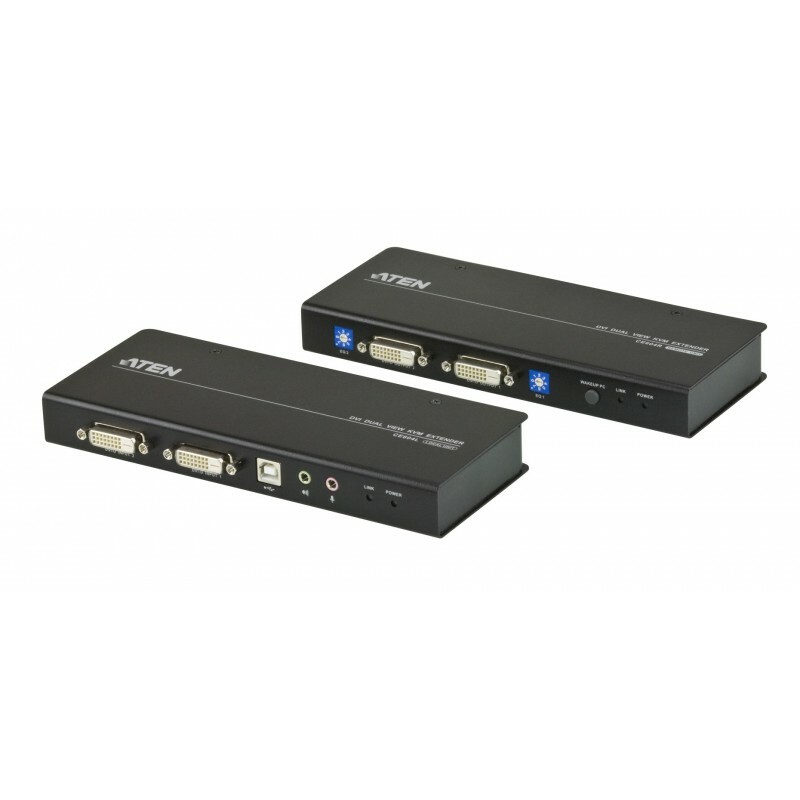 The CE604 is equipped with RS-232 serial channel for connecting to a serial terminal, or serial devices such as touchscreens and barcode scanners. In addition, it supports advanced PC Wake- Up feature that allows you simply uses a pushbutton from the remote dual view console to wake a PC at the local site. The CE604 eliminates the need for traveling back and forth between the local computer and remote console, effi cient and fl exible. The CE604 is ideal for anywhere that the console needs to be in a conveniently accessible location, but the system equipment needs to reside in a safe place – away from dust, dirt, and harsh environmental infl uences. It also provides a cost-effective way of keeping sensitive data such as fi nancial and personal information safe in a heavily secured data center, but still allowing remote access to users.